1. Register, pay for and attend one of our state-approved prelicensing classroom or self-study training courses. 2. Complete your NC-required agent or adjuster licensing application online with the National Insurance Producer Registry at www.nipr.com. You may apply for multiple licenses using one application. Answer all screening questions and pay all associated fees (you will not be able to take any licensing exams until your application has been submitted and approved by NIPR). If fingerprinting is required for your license, you will receive notification via email from NIPR after you submit your licensing application. This email will contain the necessary forms and details for completing the fingerprinting process. Licenses will not be issued until the required fingerprinting has been submitted by the licensing applicant. Licensing applications remain valid for 6 months once they are approved by NIPR. 4. Visit www.pearsonvue.com/nc/insurance to schedule your state licensing exam appointment with Pearson VUE. You will need your Examination Admission Ticket (provided by The Rendleman Company after you successfully complete your prelicensing course) and your licensing application Transaction Number (provided by NIPR when your licensing application has been officially approved). 5. Take and pass your state licensing exam with Pearson VUE at one of their NC testing center locations. You must take your Examination Admission Ticket to the testing site. Please note that Examination Admission Tickets are valid for 90 days from the date they are issued. 6. Once you have successfully passed all the insurance licensing exams you have applied for through NIPR, you will receive a congratulatory email with instructions on printing your license(s). Per NC statue, approved insurance training providers, such as The Rendleman Company, are prohibited from assisting students with job placement. FOR MORE SPECIFIC DETAILS ON THE APPLICATION PROCESS, PLEASE REVIEW THIS DOCUMENT PROVIDED BY THE NC DEPARTMENT OF INSURANCE. CLICK HERE FOR THE NORTH CAROLINA INSURANCE CANDIDATE EXAMINATION LICENSING GUIDE. In order to sit for an NC licensing exam (excluding adjuster exams), each applicant is required to provide a physical copy of his or her Examination Admission Ticket. This Ticket is issued to a student after he or she has passed the required pretest, which is administered at the end of each prelicensing course. Examination Admission Tickets are good for 90 days from the date they are issued (i.e., the date printed on the ticket) OR for 5 test attempts, whichever comes first. If a student needs or wants to repeat a prelicensing course, he or she may do so at a reduced fee. 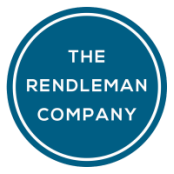 For details, please contact us at rendlemancompany@gmail.com.